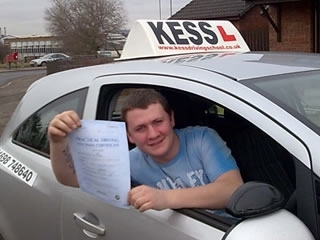 My mother passed first time with Kess driving school about 14 years ago. So she recommended kess to myself. On my first test I made one silly mistake but on the rest of my drive it was at a high standard. I have passed now. I would recommend Kess driving school.